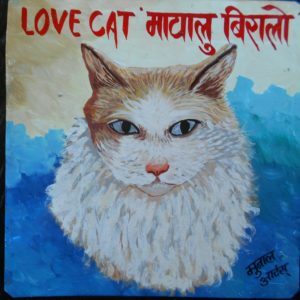 Folk art White Cats hand painted on metal by sign painters in Nepal. 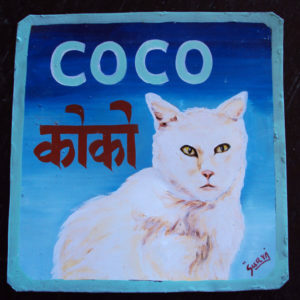 You can have the lettering changed to anything you would like in this portrait of Coco the White Cat by the artist Sufraj Khadka. 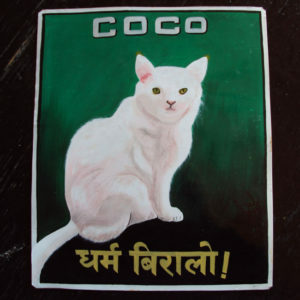 Baba hand painted Coco the White Cat on metal in Kathmandu, Nepal. 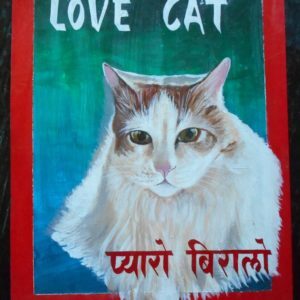 The lettering can be changed if you’d like.